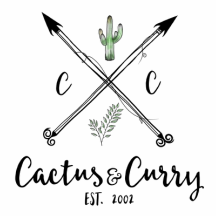 Plant-based - Cactus and Curry - Get your bloom on! Two years ago, we decided to go plant-based. It's been a great decision that's changed our lives. It wasn't a change that took place immediately. In fact, it took a few years of bad health reports, research, courage and discipline to implement our new lifestyle. Although we give it our all, we aren't perfect and sometimes we cannot avoid dairy when eating out, especially during our travels. But it's been a life-changer physically, mentally and emotionally and we never have looked back! We want to share our journey with you AND some recipes!